I love Spartan Race and always will, but I just completed a “Tougher Mudder” course and it was AMAZING. I’ll have to try it out again, but it may be my favorite now. BattleFrog used to be my favorite. The rig. Any rig. The tougher the better. I love the 8-12 mile races. Ten miles would be the sweet spot. This year is a training year for me. I’ll be out on the course here and there, but you will probably see me volunteering than training. I grew up in San Antonio with both parents and three siblings, three brothers and one sister. 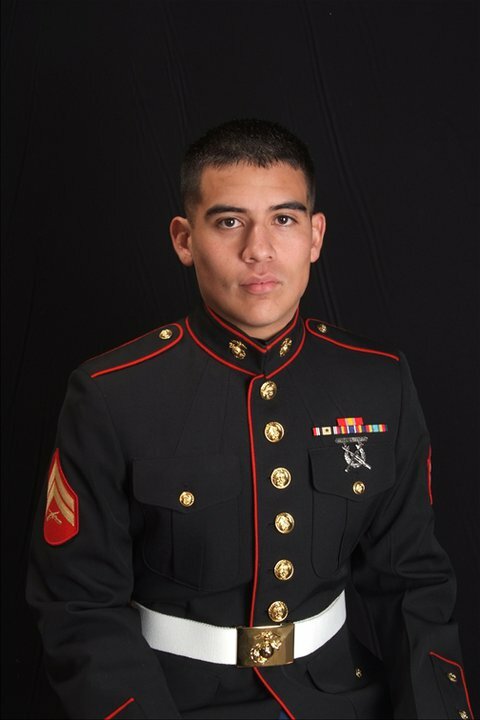 I graduated high school and joined the Marines after a semester of college. I served a four-year enlistment, I was stationed at Camp Pendleton and went on one deployment to Iraq, then came back home. I'm blessed enough to be a part of a family-owned business now that I'm back home doing telephone and computer work. I live day to day and enjoy every bit of it! 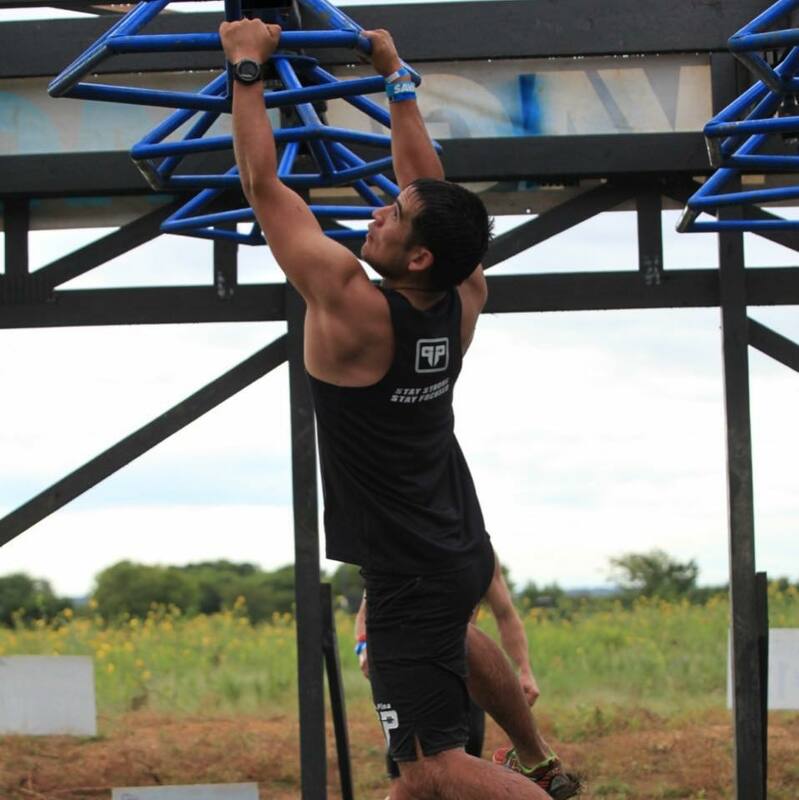 Why do you compete in OCR? 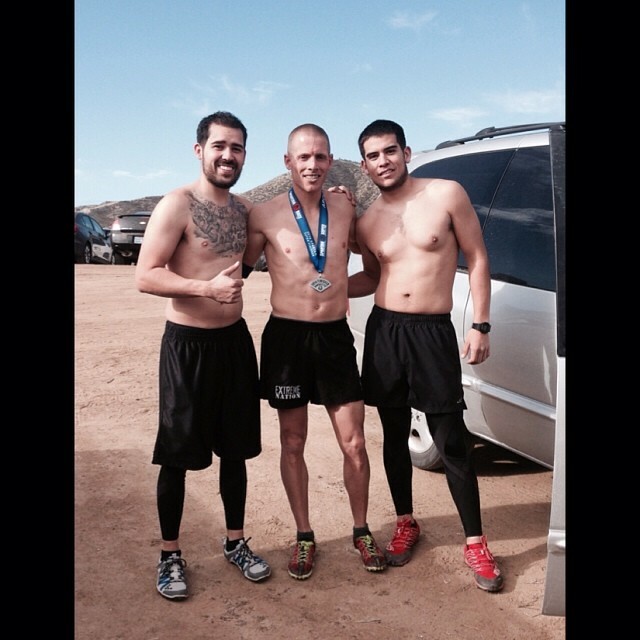 OCR keeps me active and is a fun community to be a part of. It gives me something to push towards and keeps me reminded there is always room to grow. OCR forces you to be adaptable and constantly seek self-improvement. I think all of these things are important for a balanced life. Have you overcome any significant setbacks, such as injury, personal trauma, etc.? The biggest injuries I have dealt with are a traumatic brain injury in 2010 and a dislocated shoulder that haunts me day-to-day. Second in line to those was a year spent with plantar fasciitis and inflamed knees that would not go away! Those were a direct result of World's Toughest Mudder 2015 and bad running form. How did your life change after joining the Marines? Looking back on your time in the Marines, what is your proudest moment while serving this country? When you are in the Marines, you get the chance to lead young Marines and shape them not only as professional war fighters, but as young adults. I had the opportunity to have Marines under me and see them grow. I saw them get promoted and become strong Marines and solid civilians. It's a good feeling seeing them succeed after I had left them. What happened in 2010 after coming back from a deployment in Iraq that changed your life? 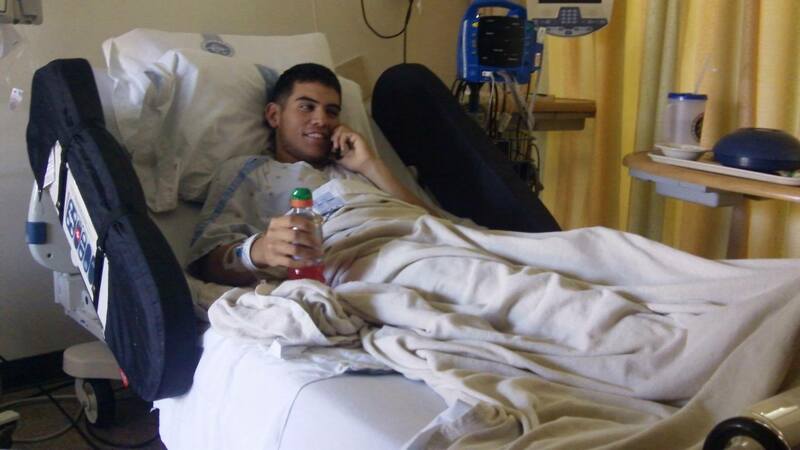 On May 10, 2010, I was checked into Naval Hospital Camp Pendleton with a fever of 104.5 degrees and unconscious. I was transferred to Naval Hospital Balboa in San Diego and over the next couple of months suffered over 50 seizures and was basically in and out of consciousness the entire time. The doctors could never really figure what caused it. I had just come back from Iraq and had traveled home through Italy and Germany. Their best guess is I had picked something up somewhere along the way and it finally showed itself. My family, including Marines, was by my side the entire time and was there when I snapped out of it. I had suffered a traumatic brain injury and was suffering side effects of no short-term memory as well as loss of lots of basic cognitive functions. I didn't know how to put a shirt on. I couldn't shave my face. I couldn't sign myself out of the hospital. My Mom had to sign the papers. What was the toughest part about rehabbing your injury and what advice do you have for people others who are just starting their recovery? The most frustrating part of rehab was dealing with the short-term memory. I hadn't lost my critical thinking skills, and luckily not much physical coordination, so the hardest part was not being able to remember one minute ago. The best advice I have for people struggling with any kind of rehab would be to just GET OUT THERE. The human body and mind is an amazing thing and will learn what it needs to and overcome injuries any way it can if you force it to. The rehab staff HATED me for it, but I forced myself to get back to normal. I failed, and failed, and failed, but pushed through it until I literally learned everything again from square one as if my life depended on it, because it did. I even downloaded children's games on my phone that focus on memory and simple mathematics to exercise my brain any way I could. I knew I needed to challenge my brain and get it firing on all cylinders again and took every chance I could to challenge it. I did not take it easy on myself. Don't take it easy on yourself. Humans need challenge to grow. Challenge yourself. Most of the time my days were very discouraging. I went from being an unstoppable, hard-charging Marine to a broken human. I went from a solid 175 lbs to a weak 140 lbs. The senior Marines in charge of me had to write a non-medical assessment of me after I got out of the hospital and I was able to get my hands on it to read. It was a terrible thing to read. They spoke so highly of me prior to the incident, and said since the incident I was unable to do even the simplest of tasks that were previously required of me. It was really hard on me. I asked a doctor at one point, “How do people not get depressed during things like this?” His answer was, “Most people do.” I continued to believe in myself and was not going to let myself give in to the failures I was facing every day. I came out on the other side normal! At least I like to think I'm pretty normal. Do you think the next great OCR athlete is currently in the military? Maybe. Great OCR athletes need grit. The military can polish grit, and force it to get stronger, but I don't think it normally instills it in people. I think it comes from life, starting young. If you have grit and train for it, you will do well in OCR. 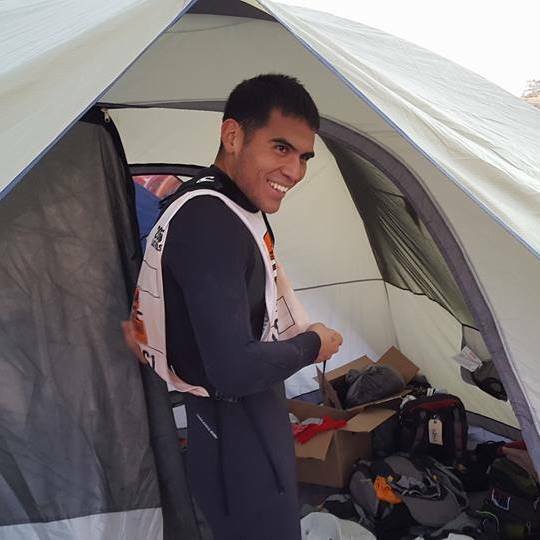 What made you sign up for your first OCR event? Were you a natural or was your first race a struggle? 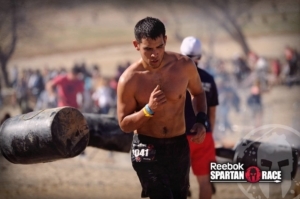 My first race was in a Spartan Sprint in Burnet, TX. My brother had heard about it and thought it would be cool to try it out. I was fresh out of the Marines and had been working out/running with my brother. I was used to being challenged and was familiar with a lot of the obstacles because of the Marines. I placed 14th and was hooked. What went through your head the first time you crossed the finish line? How has your training routine has evolved once OCR became your main hobby? My brother and I would either have running days or some kind of strength day. Since OCR, muscle-specific workouts are few and far between. Every day is full-body with lots of running. Outside of OCR, what is your biggest passion? I love to explore and experience new things. It's hard to say exactly one thing. I just get out there and experience the world. I try to take all invitations and try anything that seems exciting or others enjoy doing. Walk me through a day at your job. My job is very different day-to-day. The company I work for, A1BizCom (All 1 Business Communications), literally does everything involving technology in an office space. We install the infrastructure needed (cabling), install all hardware needed for networking/telephones/security/TV/audio/etc., and train the employees on the use of it all. We are end to end, we do it all. Any day can be spent doing any part of that, a mixture of it, troubleshooting any problems, and general maintenance. Do you follow any of the elite racers on the pro circuit? I don't really follow any of them, but I do know who they are and try to stay up-to-date. What’s your 15 seconds of fame moment? 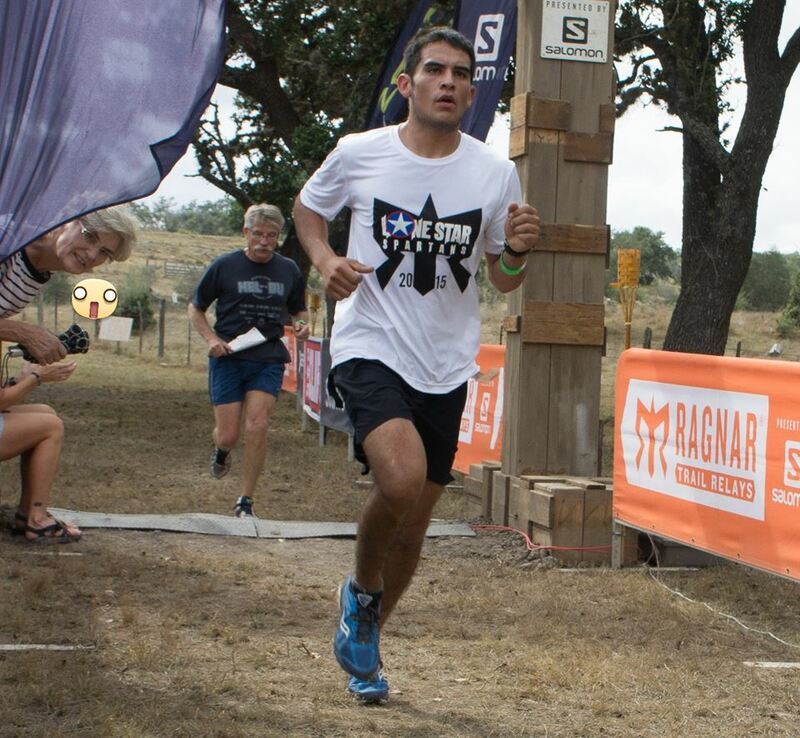 I had about 15 seconds of fame when I was ahead of Ryan Atkins in the BattleFrog national rankings! I think I was fourth and he was fifth. As the year went on, that changed (laughs). Where do you see yourself 10 years from now, not just as an OCR athlete, but also as a person? This is such a hard question, but I hope our family company is still doing well and providing for all of my family. I plan to stay in Texas, maybe not San Antonio, though. It is getting too crowded. I'm really happy with my life, and wouldn't imagine much else would be very different. OCRWC offered a 3k and 15k distance, while Spartan Race tends to focus on longer being better. Would you like to see more race series offer multiple distances at their championship race? I would love to see different races offer different distances. It is so cool seeing people do well in their “wheel house.” For me, watching an ultra-distance athlete compete in a 24-hour event is just as fun as watching a 1000-yard sprint course. How many medals do you own and what do you do with them after the race? Which one are you most proud of? I have 67 medals. I am most proud of the BattleFrog medals and the bands that came with them. I've done lots of BattleFrogs and never lost my band. All of my medals are hanging in my house. Pretend you’re a race director for a day. Describe the course you would design (including pre- and post-race festivals, if you’d like). I would design a 10-mile course. The running would ALL be on single track trails through dense woods. There would be lots of turns and switchbacks. There would be obstacles on average once every quarter mile, sometimes bunched up 2 or 3 at a time. Past that, I wouldn't require much. Is there anything else you’d like to mention (about OCR or life in general)? Life is meant to be enjoyed. Say “yes” as often as you can and as my coach, Yancy Culp says, “Drive fast and take chances.” He always says “not really” afterwards (I think it's just a disclaimer he likes to add), but I would add “within reason” and leave it at that!